You see it everywhere, but most people don’t know what it’s called or how to use it properly. In fact, it’s often referred to as “dot, dot, dot” even though it does have a name. This punctuation mark is the ellipsis. It is a series or row of three periods, which is usually used to indicate an omission. It may also be used to indicate faltering or interrupted speech or a pause. Some punctuation marks are clear-cut while others cause a lot of confusion. Most of us mastered periods and question marks back in elementary school. Commas, semicolons, and ellipses aren’t as easy to master. As a result, many punctuation marks are frequently misused. The ellipsis is one such punctuation mark. Most people don’t know the name of this punctuation mark and those who do often confuse the singular and plural (just as many people confuse singular datum and plural data). Luckily, the ellipsis isn’t nearly as confusing as the comma. It’s relatively easy to learn how to use it correctly and how to refer to it properly. An ellipsis — the omission of a word, phrase, line, paragraph, or more from a quoted passage — is indicated by ellipsis points (or dots)… Ellipsis points are three spaced periods ( . . . ), sometimes preceded or followed by other punctuation. This punctuation mark may also be called a suspension point, points of ellipsis, or periods of ellipsis. But to keep things simple, let’s just stick with the word ellipsis. Fiction writers, present company included, don’t understand very much about what they do — not why it works when it’s good, not why it doesn’t when it’s bad. Fiction writers . . . don’t understand very much about what they do — not why it works when it’s good, not why it doesn’t when it’s bad. “Well, I . . . uh . . . don’t know,” she said. We can also use an ellipsis to indicate a pause or unfinished thought. At the end of a sentence, an ellipsis represents trailing off into silence. Using an ellipsis to represent a pause can get a writer into trouble. We tend to pause a lot in speech. Pauses give us a moment to collect our thoughts or add emphasis to what we’re saying. But in writing, a page peppered with ellipses wreaks havoc on the eyes. The same applies to unfinished thoughts. A lazy writer might use ellipses to indicate, “and so on” or “et cetera.” In text messaging and social media, many people use ellipses where they believe the reader will implicitly understand what would be stated next. In professional-grade writing, we finish our thoughts, so ellipses used for this purpose should be rare. However, when we are writing dialogue, an ellipsis can come in handy, especially if we want to show a character’s speech trailing off. Keep in mind, though, that ellipses, like exclamation points, should be used with caution and only when truly needed for emphasis. As a general rule, don’t use it unless you must. You’ll see ellipses formatted in two ways, either three points without spacing (…) or three points with spacing ( . . . ). In some cases, four points are used, but this is rare and not covered in this article. In the U.S., an ellipsis is generally formatted with spacing between each ellipsis point: ( . . . ) per the most common style standards. The Chicago Manual of Style warns against using ellipsis at the beginning or ending of any quotations. However, some writers will place ellipses at the beginning or endings of quotations to indicate preceding or following text that has been omitted. 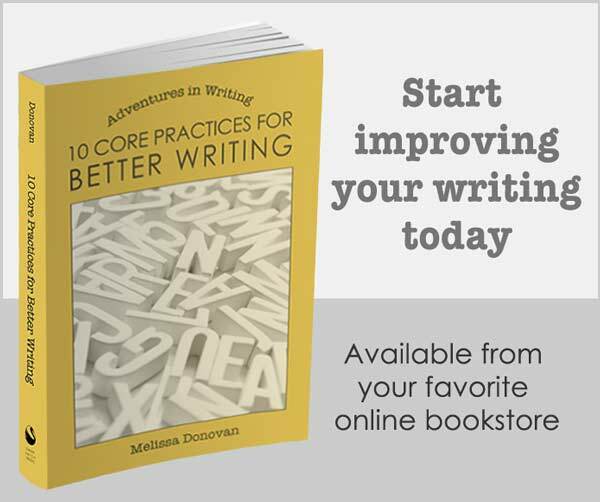 This ensures that readers are aware of omissions and prevents using quotations out of context. If you want to ensure you’re using grammar and punctuation marks correctly and consistently in your writing, pick up a grammar manual or style guide. 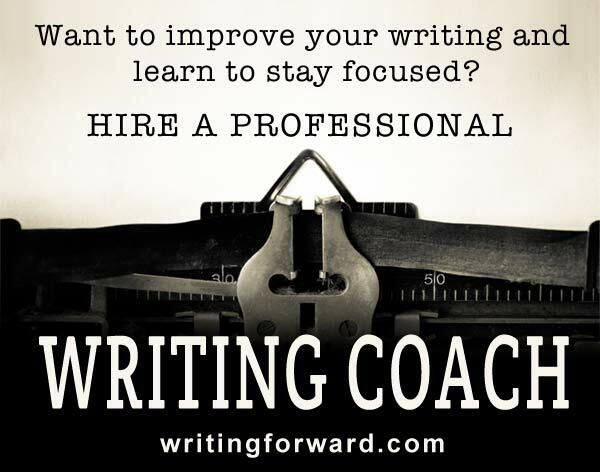 You’ll find that the more you write, the more frequently you come across grammar and formatting situations that are unclear. Grammar and style resources will be a great help. So, are . . . and … interchangeable? You used one for omission and the other for pause in the examples, which left me wondering… <== Ooh, look at that. Unprofessional usage. It depends which style guide you’re using. The important thing is to be consistent. I just made them consistent in this piece, so now they’re the same 😉 Thanks Kelvin. Is it really Thanks, Helen? Or is it Thanks Helen. It’s really “Thanks, Helen.” I’d recommend looking things up before challenging them on a public forum. What a great overview of all the uses for the ellipsis. I tend to use them a lot in my own writing, and this info really sheds some light on when the right time and place to do so is, so to speak. Anyway, great article! Thanks, Vanna. I have come to view ellipses as a crutch, a space-filler that writers use when they don’t want to finish a sentence or use action to demonstrate a pause. My own rule is to use them as rarely as possible; that way, they have a greater impact when they do appear (the same is true of exclamation marks). This is fantastic, Melissa. One of my pet peeves is how often some writers use ellipses at the end of the sentences, which as you point out, is an indicator of trailing off into silence. But so many don’t know to use it that way. Love them to death, but I’ve noticed a lot of my screenwriting friends are ellipses happy and I’m not sure why. I notice it a lot in emails, which is what inspired this post. In fact, I’ve seen many instances where the ellipses are used where a period would suffice. Punctuation has become rather subjective in the information age! Thanks for a good article Melissa. Will be back for more. Youyr article was a real confidence builder for me. Thanks. Never ever thought that punctuation could be described as creatively, till I read your blogs.You make it sound so easy. There is plenty of information available on the use of punctuation for prose, but have been trying desperately to find the use of punctuation for poetry and not been able to find this.Can you help? How much creative liberty is allowed for punctuation marks in poetry? Can poetry end with ellipsis be used at the end of each thought and sentence in poetry to connect the next sentence. But how often?Is it grammatically correct or incorrect? Does every sentence in verse have to begin with a capital letter, even though the next thought is connected and ends with a comma or a semicolon? What is a good book for punctuation for both poetry and prose writing style. The best way to learn how to punctuate poetry is to read a lot of reputable poets’ work. You can use ellipses as you described in a poem; however, I personally find poems with a lot of unnecessary punctuation to be distracting. That goes for exclamation marks, commas, em-dashes, and ellipses. Each line in a poem can indicate a new thought, so you probably don’t need punctuation (ellipses) for that. Many poets don’t use any uppercase letters in a poem. I tend toward minimalism with regard to punctuation in poems — I want each punctuation mark to really mean something; otherwise, it gets cut. My best suggestion for you is to pick up a book that will teach you punctuation in general. I use the big one – Chicago Manual of Style. But what you really need to do is read published poetry. Get a few books of poems by well known poets, pick up a few poetry journals. Online, I strongly recommend subscribing to Rattle. Familiarizing yourself with the poetry that’s out there is your single best bet for picking up all this stuff, and this is, in large part, due to the creative liberty that poems afford. You’ll eventually find a style that suits you. I love this! This is the first time I’ve found a blog on punctuation. I just read a book that seems to need some help. I love the story line, I just find it difficult to get past some of the things the writer does. ie: “let. me. go.” That is actually used more than once in the book. This is a series, so you can only imagine the punctuation mistakes. I’m no writer, and I know I must make many mistakes. But, I do hope they aren’t as glaring as those. My question to you is, what is the correct way for this author to get her point across. It’s been a month since I read the book, but that just keeps on nagging my thoughts. (Interviewee): Give the money to my wife and get back to work. Is the following layout ok for the 10th such question-and-answer? 10. If I had a billion dollars I would . . .
. . . Give the money to my wife and get back to work. Interviewer: What would you do if you had a billion dollars? Interviewee: I would give the money to my wife and get back to work. I would have said, “Keep in mind, though, that ellipses, like exclamation points, . . .
“Keep in mind, though, that an ellipsis, like an exclamation point, . . .
My understanding is that the noun “ellipsis” refers to all three points as one unit. Would you clarify your usage for me? P.S. After I clicked on the “Submit” button, it was too late to correct an oversight I noticed in my last comment. I believe I should have put a space after the last comma before the ellipsis in each sentence. I have a question about how ellipsis are written or key stroked. If, for exmple I write “all men are created equal…some more equal”. Is it correct to have the ellipsis begin immediately after the L in equal and end immediately before the S in some? or should there be a space after L and before S? Hi Tim, the answer you seek is in the post. Check near the bottom. You’re welcome! I’m glad you found this article helpful, Aditya.